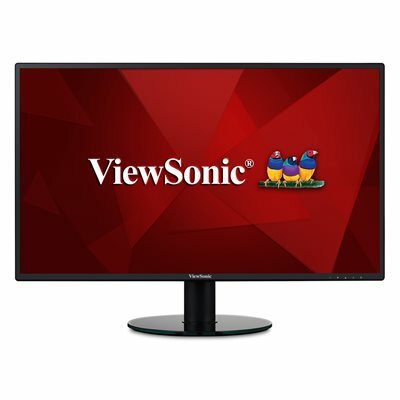 The ViewSonic VA2719-2K-Smhd is a 27" WQHD monitor that delivers solid multimedia features at a great value with flexible connectivity, wide-angle viewing, and amazing screen performance. Featuring 2560 x 1440 resolution and a slim bezel design, this monitor provides a near-seamless viewing experience ideal for multi-monitor setups. Whether for working at the office, or enjoying entertainment at home, the VA2719-2K-Smhd also features DisplayPort and HDMI ports for flexible connectivity to PCs, laptops, and other multimedia devices. dimensions 14.3" x 24.4" x 1.8"